Sewer pumping stations are used in domestic and commercial properties where the main sewer or septic tank and higher than the property. The pumping station moves the wastewater/sewage to higher elevations in order to allow transport by gravity flow. The waste water/sewage drains to a sealed underground chamber often called a "wet well". When the level reaches a certain point it is pumped to a gravity manhole where it can drain naturally to the mains sewer or a septic tank / cesspit. 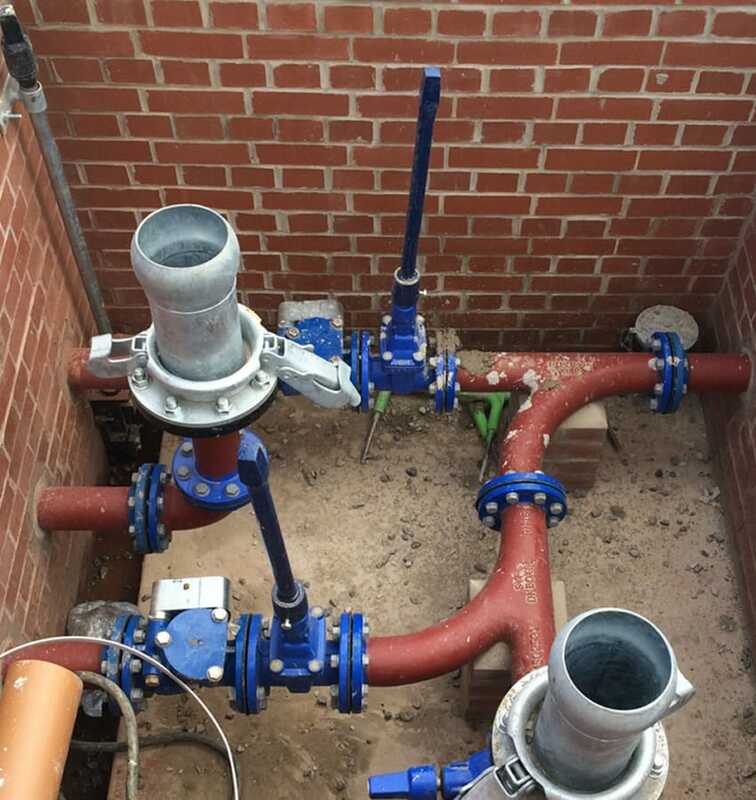 If the situation of the property makes it impossible for sewage to flow by gravity or the cost of groundworks exceeds the cost of a pumping station then consideration should be given to installing a sewer pumping station. They are also used if a sewer line passes over a ridge or if a property has basement floors with waste plumbing.